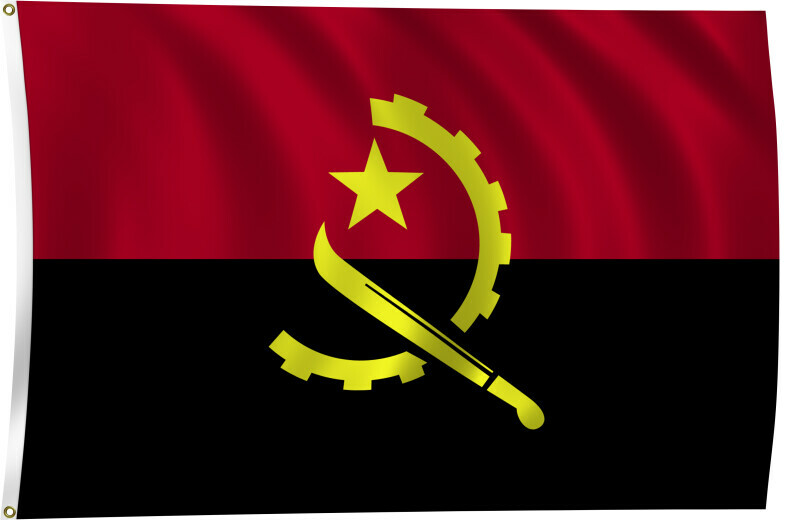 Color flag of Angola. Two equal horizontal bands of red (top) and black with a centered yellow emblem consisting of a five-pointed star within half a cogwheel crossed by a machete (in the style of a hammer and sickle). Flat color and black/white versions of world flags are available on the Clipart ETC website.